Staff Selection Commission (SSC) Recruitment of Multi Tasking Staff (MTS) Non Technical in Different States and Union Territories 2014. Candidates List who qualified Paper-I (SSC MTS Tier-I) and appearing in Paper-II. Staff Selection Commission (SSC) conducted examination for recruitment to the post of ‘Multi Tasking Staff (MTS-Non Technical)” in Different states and union territories on 16/02/2014 and 23/02/2014 at different centers all over India. 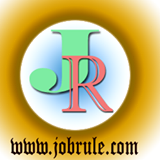 Second State (Paper-II) Examination Admit Card/Call Letter Download. Staff Selection Commission (SSC) Western Region (WR) declared Multi Tasking Staff (MTS) Non Technical Recruitment Paper-I Examination Result 2014, Cut Off Marks/Merit List. Based on written examination performance , out of total 1,65,991 candidates, the following cut off list issued by the respective region. Staff Selection Commission (SSC) Southern Region (Chennai) published SSC MTS (Non Technical) Examination Paper-I Result 2014 & Cut Off list/Merit List. Based on performance on written test, out of total 1,30,961 candidates, below mention cut off marks has been issued by the SSC CR Region.